Finding the Hutongs at night were hard but fun! At least we had a sign to guide us in. Yet once inside the Hutongs, it was anyone’s bet on which direction to go. There were no maps nor streetlights to lead your way. 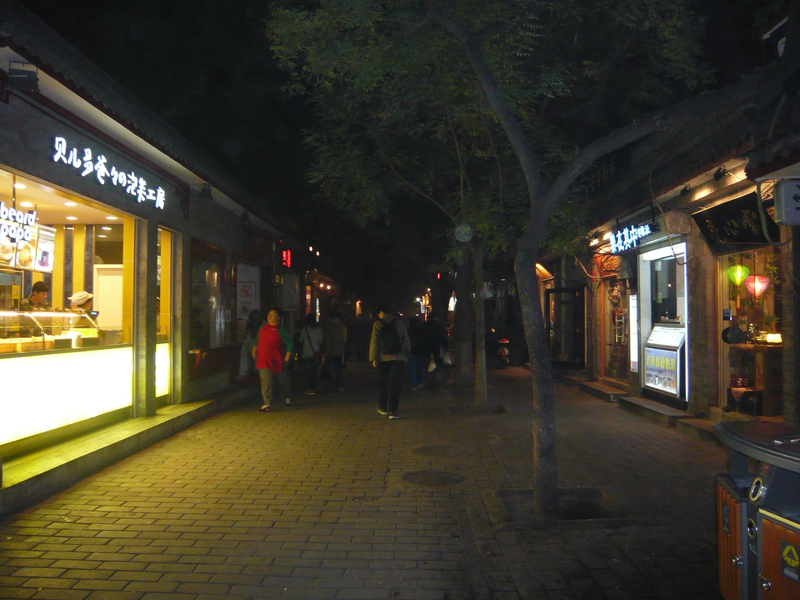 In some Hutongs, a flashlight would have really come in handy! 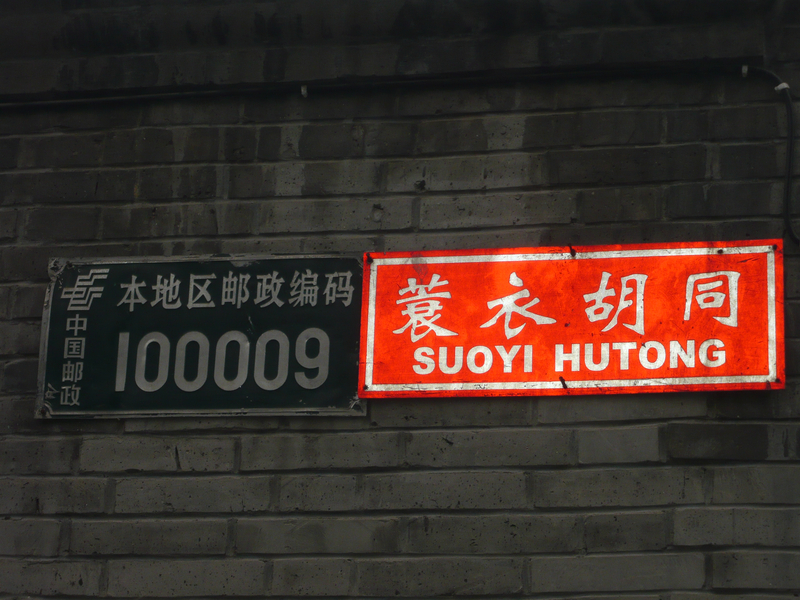 My last post on China was by far one of my favorites: In Search of Beijing’s Hidden Hutongs. 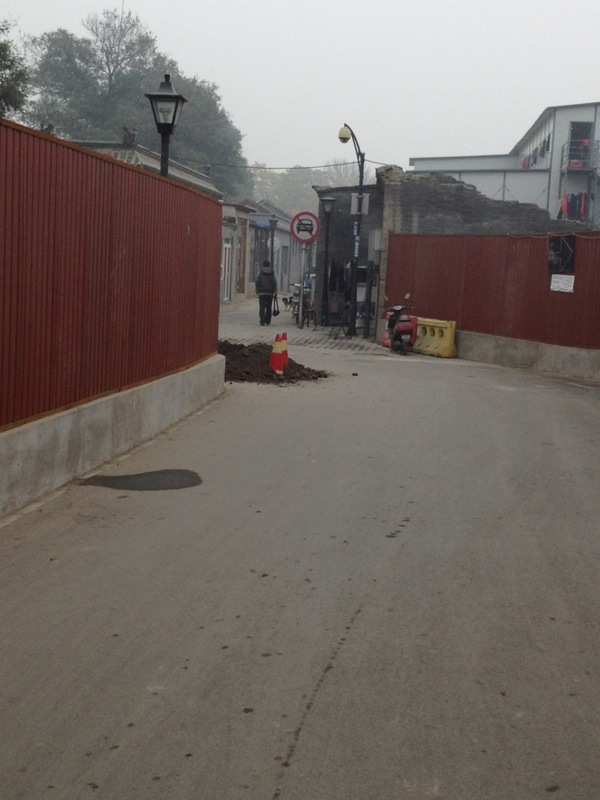 As I mentioned in the post, the Hutongs, or narrow alleyways, are the true heart and soul of Beijing’s past. They are magical maze-like places which instantly transport you back in time, to thousands of years ago. The rooftops were by far my favorite thing to capture on film. They were so detailed and so lovely. I could have spent hours just taking picture after picture of each and every one. 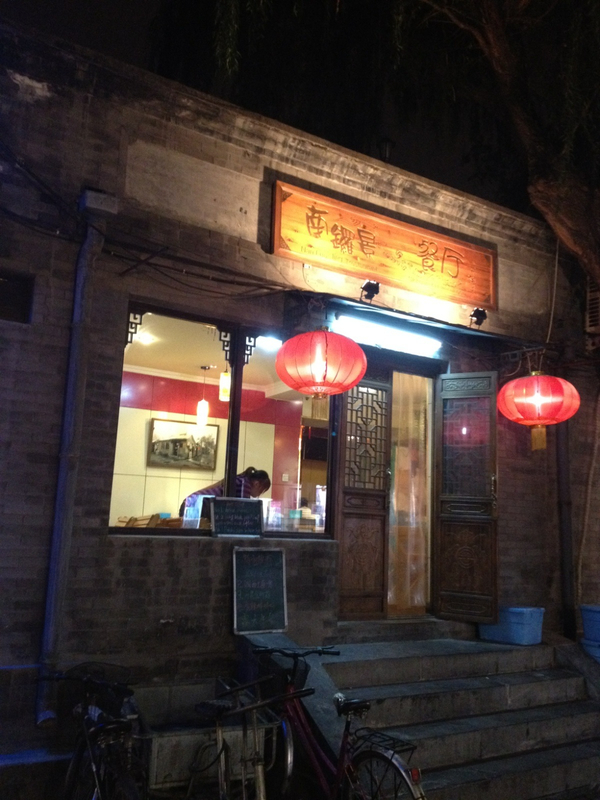 I also truly loved the sense of adventure and discovery while wandering around the hutongs. The narrow alleyways snaked around in mysterious ways and you had to decide whether or not to go left or right or continue on straight. It reminded me of the Dr. Seuss Book “Oh the places you’ll go“. 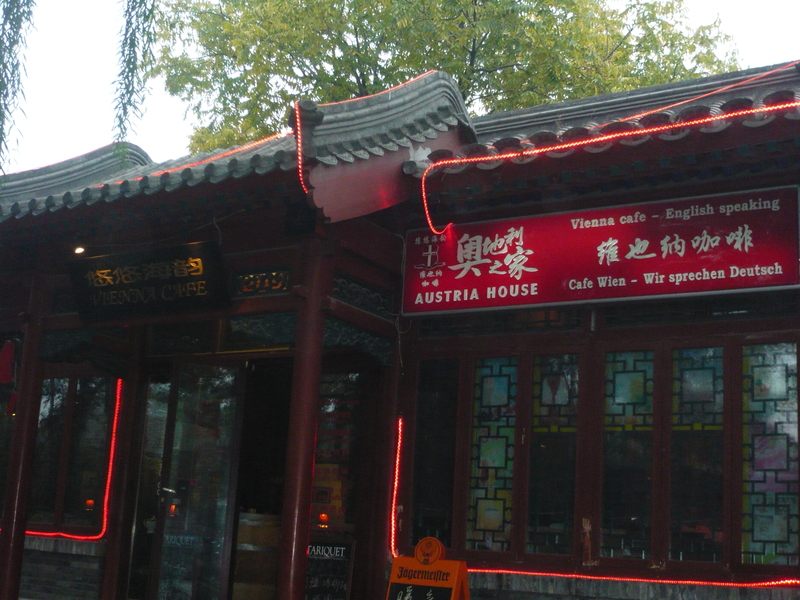 After our second day in Beijing, we finally discovered a fabulous hutong near Qianhai lake which was loaded with restaurant after restaurant. We decided that day that we would have to return at night for a meal and if we had the energy, hit the bar section further down where the generation X and Y’s of Beijing let off some steam. The main difficulty for returning to the Hutongs at night was once again finding them! As I mentioned in my earlier post, they are marked yet still difficult to find on a map and cars are not allowed inside them. Thus if you took a cab to a Hutong, they typically would drop you off outside of the entrance on one of the main drags and you’d have to weave your way back inside the serpentine maze of the Hutong to try to find your destination. It wasn’t easy to find in the day time and the night time was even harder as the hutungs are not very well-lite thus you are often found wandering around in complete darkness. This was right up my alley in terms of adventure and “getting lost”! I loved it and best of all, we did finally find our way around some of the Hutongs thus were able to enjoy them at night as well. 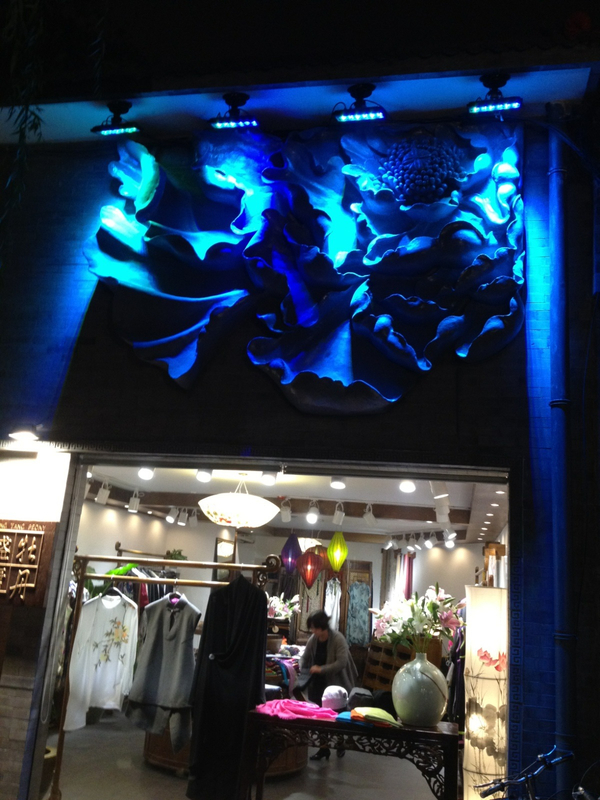 Finally we found the main entrance to one of the best Hutongs in town! Now who would imagine it would be located back here, behind this construction area? Yet it was our way of finding it again at night! We followed the main drag and looked for the crane above. Then we wove around the side of the construction and voila! 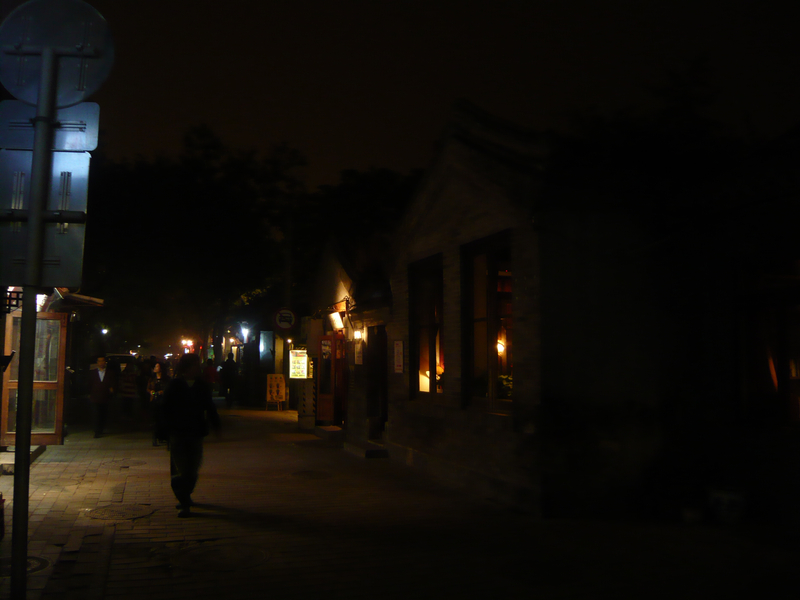 There it was, an enormous maze-like Hutong loaded with boutiques, restaurants and bars! Finally we found international restaurants! We found Italian, British, Indian and more! I could hardly contain my excitement since I was not enjoying Chinese food so much. This area was only about a 40 minute walk from our hotel. Yes, a bit far but worth the walk and it felt great to get exercise after a big meal. 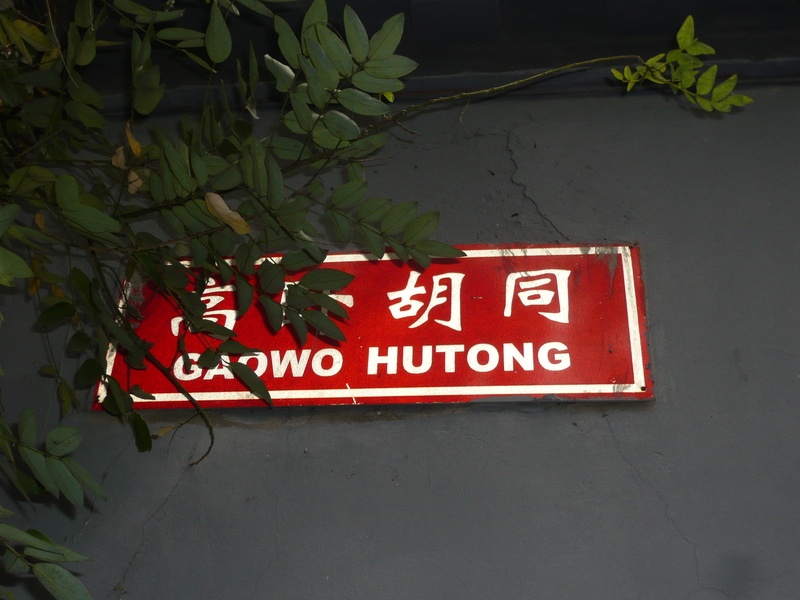 Once you entered the Hutongs, there were many parts like this one above that were almost pitch black! I could have really used a flashlight there! We had dinner at a fabulous little Indian restaurant that we found in Lonely Planet and actually had searched for during the day and found it that night. I loved having my favorite Indian foods in the heart of Beijing. It felt kind of strange but then again, I love Indian food so why not? 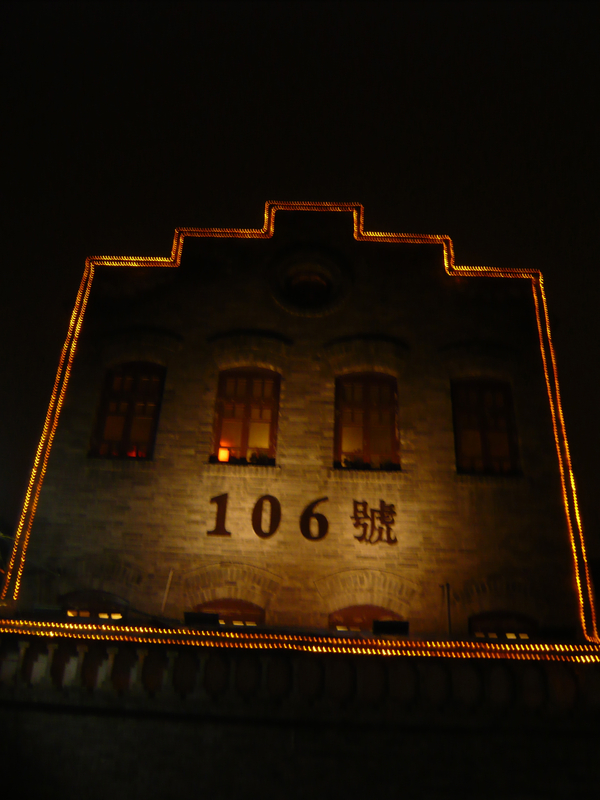 We didn’t make it to the wild and crazy bar Hutong (never quite figured out what the name of it was). When we had passed it during the late afternoon, things were already picking up. There were three-person bikes to rent, rooftop bars with sofas on top and lots of loud music. 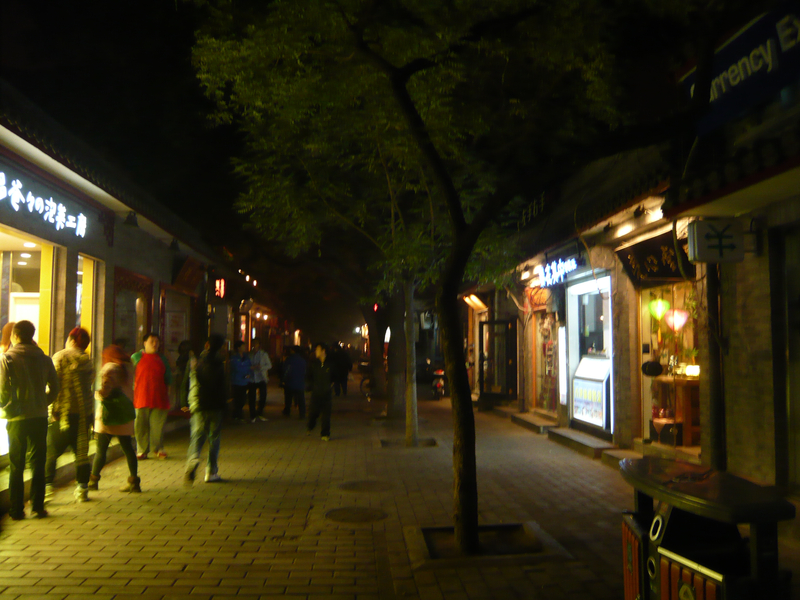 It felt vibrant, fun and not at all like most parts of gray, old, stiff Beijing. I really wished I had the chance to hang out there for a few hours and learn about the young, rebellious youth think of it all. Beijing, China, Communism and the future. Stay tuned….more China coming soon! I still haven’t finished Beijing and Shanghai will be a delight as well. Thanks for reading!